Landcarers will have more tools in the fight against pest animals thanks to a suite of innovative projects launched by the Centre for Invasive Species Solutions (CISS). The new centre has established a powerful member and partner collaborative research, development and extension platform that has brought together state, territory and federal government agencies, industry research development corporations – including Meat and Livestock Australian and Australian Wool Innovation – the CSIRO and universities to focus on the development of improved tools and strategies that will strengthen the management of vertebrate pests. 21 projects have been co-developed with CISS’s members and partners, and are focused on developing solutions to managing problematic species such as rabbits, wild dogs and deer. The Australian Government has contributed $20 million towards the CISS to fund the projects and develop detection and surveillance techniques to combat potential new threats. 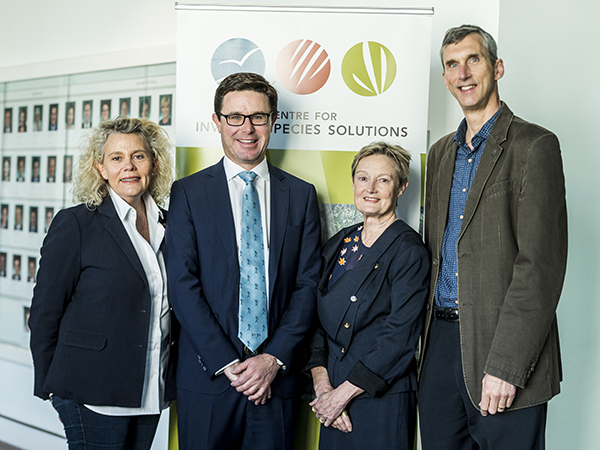 Fiona Simson (National Farmers Federation), David Littleproud (Federal Minister for Agriculture), Helen Cathles (Centre for Invasive Species Solutions) and Andrew Cox (Invasive Species Council) launch the new centre. The centre was launched by Minister for Agriculture David Littleproud on the 18 September 2018 at Parliament House. “Farmers face huge costs, productivity losses and the spread of diseases at the hands of pests and weeds, and continue to keep fighting to stop them in their tracks,” Minister Littleproud said. Notable environmentalist and Invasive Species Council’s chief executive officer Andrew Cox has praised the establishment of the new centre, highlighting the danger invasive species pose to Australia’s threatened native species and the importance of continuing to combat this problem. “A critical part of this load falls on our researchers and national research collaboration works,” Mr Cox stated. The Centre’s current projects includes a national deer research and management program. The CISS is maintaining the momentum built by the Invasive Animal’s Cooperative Research Centre which finished its research projects in mid-2017. CISS will continue the work of its predecessor, collaborating nationally to deliver a rabbit biocontrol research pipeline. Two of the centre’s rabbit specific biocontrol projects will be looking at ways to optimise current strategies in order to ensure future management benefits within the environment and agriculture sectors. 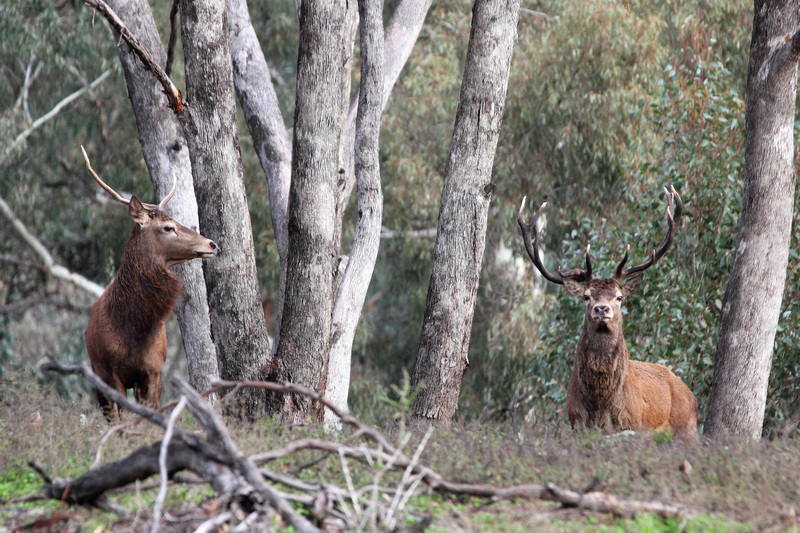 Another of CISS’s projects include Australia’s largest research collaboration to tackle feral deer. Feral deer are an emerging problem in nearly all jurisdictions of Australia, impacting agriculture and threatening precious native ecological communities, particularly those within national parks. Together with five state and territory governments, three local councils, three universities, and three private environmental groups, CISS is working on creating a series of priorities for deer research and management, including best practice management, understanding their role as vectors of exotic disease, and looking at new tools to tackle the problem.